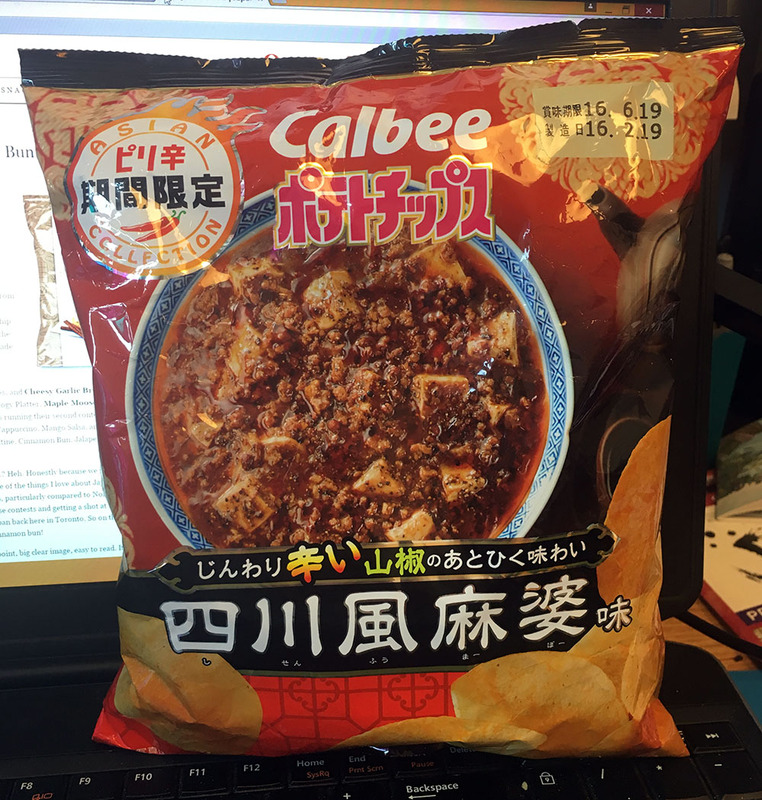 Review: Ma Po Tofu Calbee Potato Chips | Oyatsu Break! 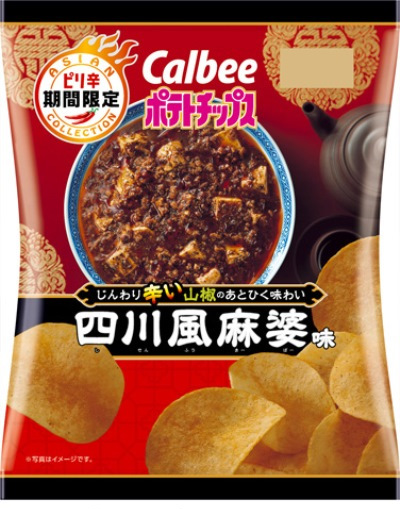 As you might know I’m a big fan of Calbee’s potato chip offerings, particularly their various pizza chips, and so when I heard about their two new “Asian Collection” flavours (Tom Yung Soup being the other), I was curious, but resigned myself to not getting to try these very limited edition snacks. However just this past weekend I was lucky enough to receive them as a lovely gift from my good friend Debora Aoki, and so I felt I owed Deb (and all of you still reading) a real review, if not a quick one. According to Calbee they used the flavour of Douchi (fermented soybeans) and Chinese pepper to simulate the taste more accurately–let’s see how they do! Packaging: Really exciting, though perhaps a little busy. The Ma Po Tofu is well-represented with a bright clear photograph, and there’s a ton of writing (including a custom logo for the Asian Collection. The back is also pretty busy, but if you were a Japanese consumer with only a passing knowledge of Chinese cuisine, I’m sure you’d appreciate all of the explanitory info. Otherwise, it’s a standard foil bag. 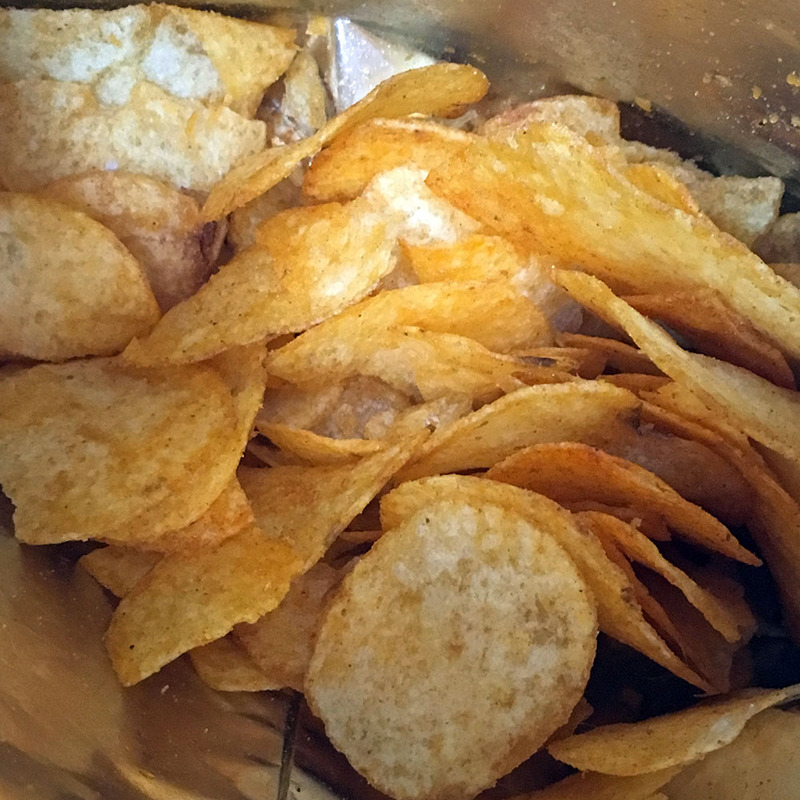 Scent and Taste: The smell of the chips when you open the bag is pretty incredible! Big spicy chilles, a little acid from citrus? Pungency! It’s so promising! Unfortunately my first bit was a huge let-down because of how strongly scented they were. A single chip or two just doesn’t pack enough of a punch, and the flavour while very accurate is very mild and a little disappointing. But of course, these are chips, so you keep eating, right? And as you eat, their real strengths shine. The flavours build, the pungent, spicy heat promised at first suddenly arrives, and half way through the bag you’re almost ready to change your tune… Almost. Verdict: Super interesting, and with incredible potential! But I think Calbee erred too far on the side of caution, and created something that wouldn’t scare away more sensitive palettes, which means missing the point of a good earthy, spicy dish of ma po tofu.